Regular flood light is basically a pure flood lighting fixture without any other additions, features or parts. This means that lighting fixture consists of casing, a light bulb and electric wires for powering the lamp. Usage of regular flood lights does not have any restrictions and they can be used in practically any place. Other types of flood lights are built upon regular floodlights, which means, that they are basically just upgraded and adjusted versions of them. These lights use LED, CFL, or halogen light bulbs. They usually come with aluminum or plastic casing, and need be wired to a junction box. 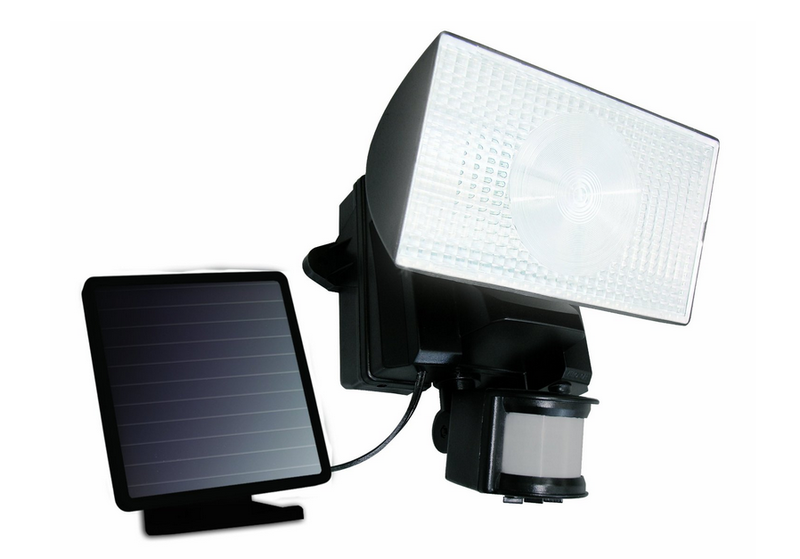 Recently, solar flood lights have become more popular. Solar means that lighting fixture has got a built in battery that is being charged by solar energy. Solar energy gets collected with solar panel that is attached to the lighting fixture. Solar flood light allows saving a lot of money on electricity bills, because, as we all know, sun energy is free for everyone. Of course, the illumination time of solar flood light is not unlimited. Few factors that dictate how long solar lamp will be able to illuminate are the size and capacity of solar panel and floodlight battery. In other words, how fast can solar panel charge lamps battery and how much charge this battery can hold. Usually solar flood lights are capable of providing lighting from under an hour to all night on larger and more expensive models. Solar lights that can illuminate all night are called dusk-till-dawn flood lights. Solar panel has become a very popular addition to many flood lights, and is also compatible with each of the flood light types mentioned in this article (security, landscape, all in one fixture, work and post lights). Security flood light is one of the most popular type of flood light. As the name says, security flood lights are mainly used for security reasons. Security flood lights have got a motion sensor that is used to detect a motion in front of the lighting fixture. What this means is, when someone walks by the light, motion sensor detects motion and immediately triggers light. This is useful in two situations. First, it will protect your property from unwanted trespassers. This includes both humans and animals. Many people install security flood lights in their backyard to scare away wild animals seeking food in the dark. This can protect your pets from getting in trouble by accidentally running into a wild animal in the backyard. This also applies to unwanted people in your property. Burglars use darkness as a cover, when they are breaking into a property. Motion activated flood light immediately breaks this cover by illuminating the trespasser so everyone can see him. There is a high chance that burglar will get frightened and run away from your backyard. The second way to use security flood lights is together with surveillance cameras. Night vision surveillance cameras are more expensive than regular cameras. Security flood lights are a good way to illuminate dark areas, so camera can capture any unwanted activities in your property. Some people use regular flood lights for illuminating area that needs to be observed, but it consumes a lot of electricity and costs a lot of money. In this case, the best type of flood light to use with surveillance cameras is security flood light with a motion sensor. Besides security purposes, security flood lights are also used for home needs. Probably the most popular use of flood light is as a front door light. Security flood lights are often used to illuminate doors at night. Motion sensor detects when you come close to the house and illuminates that area, so you can safely walk to your house or up the stairs and can locate the keyhole and unlock the door. It is common to use security flood lights around the house and backyard, as they can illuminate any desired indoor or outdoor area and save a lot of energy, because they are turned on only, when motion is detected in front of the light and continues to illuminate for certain period of time, which usually is less than a minute and can be manually set for most of the lights. As solar lights cannot provide unlimited illumination time, motion sensor helps to prolong the time that solar security light can illuminate. Smaller solar flood light is capable to illuminate approximelty half an hour with one charge. Same type motion activated solar flood light is able to provide illumination for a lot longer time, depending on the usage (how many times light needs to be turned on when motion is detected and for how long light is set to illuminate when turned on each time). Landscape flood lights are mostly used to illuminate some sort of object or area from the ground level. Other types of flood lights are usually set high above the ground, but landscape flood lights are set directly into or on the ground. 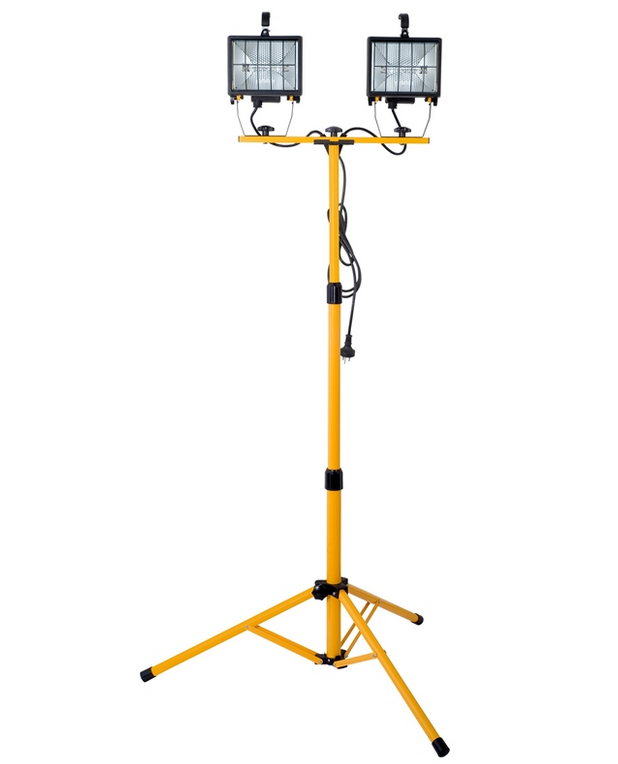 Landscape flood light has got a support leg or ground mount legs that can be inserted into the ground. The purpose of landscape flood lights is mostly to make something stand out from the rest in a certain area. For example, landscape flood lights are often used to illuminate wall of the house or some sort of landscape objects in the backyard like decorative trees. Landscape flood lights are also often used around the garden. A popular object to accentuate with landscape flood light is fountain. For better effect, many landscape designers use multiple types of flood lights like landscape and pole lights to better illuminate decorations and make them more attractive in the dark. Landscape flood lights are effective with color changing light bulbs. Colored LED light bulbs are a very popular option in these types of lamps and can bring a much creative look to your backyard, house or garden. Same as with other types of flood lights, landscape lamps are often used with solar panel as more energy efficient decoration lighting solution. All in one fixture lights are specific type of flood lights by their looks and features. All in one fixture flood lights have all components combined together into a single fixture. This means that bulb, motion sensor, solar panel and rechargeable battery are all combined into one lamp. Usually flood lights have separate solar panel or motion sensor and sometimes even separate battery. So why should you need an all in one fixture flood light? First of all, these flood lights are a lot more compact than other type of lights. They can take extremely low amount of space and can be used in areas, where other flood lights would simply be too large. Second, the look of the fixture is more ascetic, so these lights can be used as a decoration element in porch, patio, garden, boat and other places. All in one fixture flood lights usually need to be installed to a vertical wall, because they have lighting bulbs in front or under the fixture. If lamps are equipped with a solar panel, it usually is placed on top of the fixture. This limits number or places the light can be installed. Solar panel needs to be set in an area, where direct sunlight can reach the panel. With other type of flood lights this is not a problem, because solar panel is detachable and can be set separately from the lamp. Solar landscape flood lights can be only set in an open place, where roof does not shield solar panel from sunlight. Another disadvantage of all in one fixture lights is that they provide less brightness and produces less powerful light than regular flood lights, because of the compact size. Other than that, all in one fixtures are really nice type of lights for indoor and outdoor decoration purposes and can provide illumination in areas, where other type of flood lights would be too large or simply too inefficient to use. Work lights are another popular type of flood lights. Work lights differ from other type of flood lights with their durability and reliability. Work lights are made with heavy duty casings and mounts so they can withstand harder working conditions. Under the strong casing there is the same regular flood light as we can see in practically any other flood light sub-type. Work lights comes with a durable metal (usually aluminum) casing, grip handle for transporting the fixture, safety grill for protecting front glass and lighting bulb and a stand. Work flood lights have extra sealed casing so they are weather proof and can be used in more extreme weather conditions. 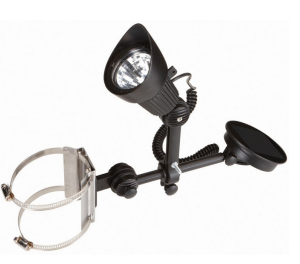 Work light comes with low stand or adjustable (usually tripod style) stand. Position light fixture can be adjusted to receive better light angle. Some work lights come in pack of two or more fixtures for extra brightness. Usually work lights are made with single or double heads, which suits most lighting requirements. Work lights use LED diodes or halogen bulbs for illumination. Usually work flood lights produces from 1000 lumens to 20 000 and more lumens by high powered flood lights. There are also battery powered work lights that are equipped with a rechargeable battery and can work without other power source. However, these types of lights are not very popular, because due to high power and brightness, they can drain smaller sized batteries in couple of minutes. So mostly you will find work lights with a cable that needs to be plugged into an electrical socket. Flag pole lights or post flood lights have specific mount that can be installed to a post. These type of lights are mostly used to illuminate flags at night, but can also be used as decoration or other type of lighting. There are two types of pole lights, ones that can be attached to the pole and others that can be attached to the top of the pole. First ones are a lot more popular. Flag pole lights are something between a spot light and a flood light. Spot light has narrower lighting bean and can illuminate a small area directly in front of the light, while flood light is constructed to illuminate wider area. Flagpole lights are mostly used together with a solar panel. 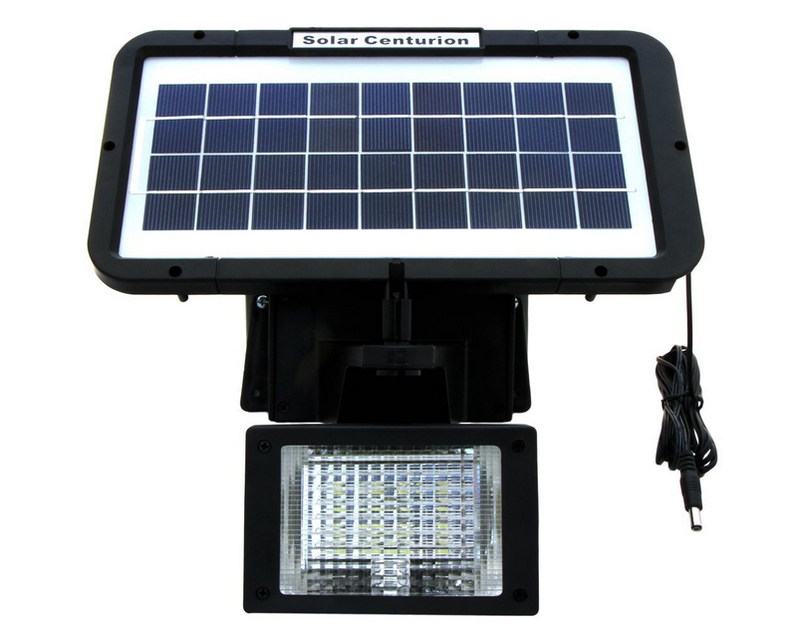 Solar panels make these lights portable and a lot more convenient to install. Also there is no need to run a wire up the pole, as it charges using sun energy. As flag pole usually is set into an open place, direct sun beams can easily reach solar panel and charge flood lights batteries relatively fast. Flagpole flood lights mostly come with a single head, but there are also some flagpole lights with multiple heads that better illuminates the flag at night and gives a more pleasant look. Regular, security, landscape, all in one fixture, work and flagpole lights are the most commonly used types of flood lights. Besides these flood lights, there are a lot other flood lights types. As mentioned before, there are practically no restrictions to flood light usage. 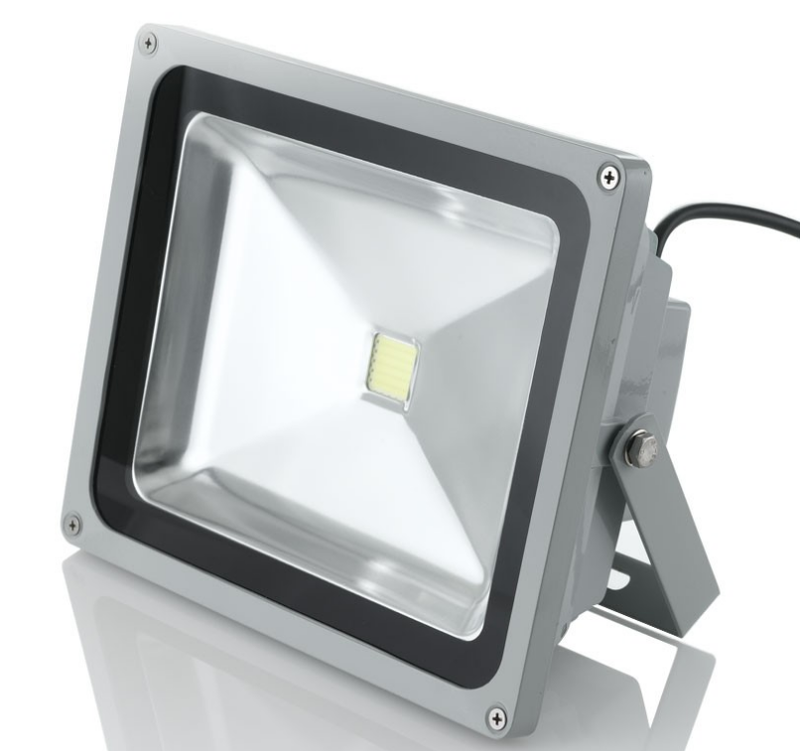 Each of these types is made for certain purposes, but they all share common flood light features: large illumination angle, powerful and bright lights and durability. Also, solar panel has become a common addition to flood lights. 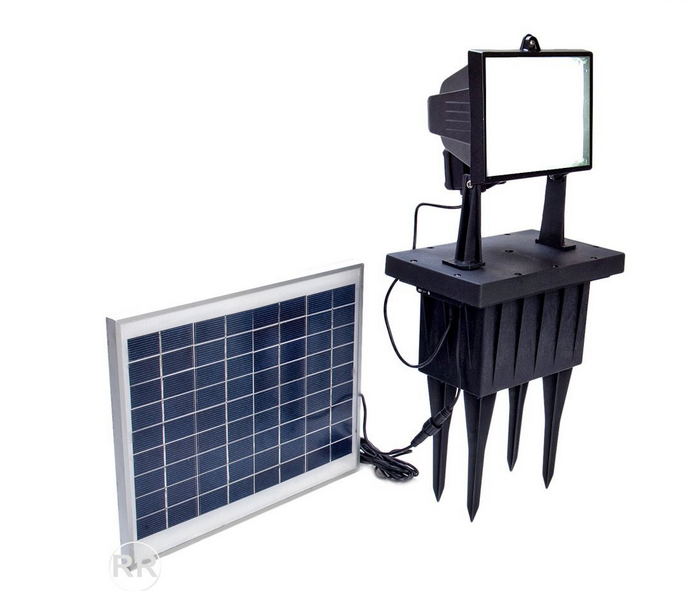 With solar powered flood lights you not only help to save environment and use alternative energy source, but also save significant amount of money on electricity. Solar lighting is our future! I hope this article helped you to better understand the extensive use of flood lights. If you have any questions, comments or additions about flood light subject, feel free to leave your opinion in the comment box below the article. Next story CFL, Halogen and LED light bulb comparison, operation and usage in outdoor flood light fixtures. Previous story Wired and Portable Flood Lights. Types, Advantages and Disadvantages of both.